Experiencing a bed bug infestation within a home is every homeowner and tenant’s worst nightmare. Although bed bugs cannot spread disease to humans or inflict structural damage to a home, the insects are notorious for biting people, resulting in itchy and swollen bite wounds. Unfortunately, bed bugs are too tiny to be immediately noticed within a home, making itchy welts on skin the typical first sign of a bed bug infestation. Also, bed bugs inject a saliva into people’s bloodstream when they bite. This saliva acts as an anesthetic, preventing bite victims from knowing when they are being bitten. It is not until later that the bite wounds begin to itch and become irritated. For one man in Metairie, the biting bed bugs infesting his mattress were too much to tolerate. However, instead of contacting a pest control professional, the man decided to carry out his own bed bug eradication strategy. This strategy involved the use of heat to eradicate bed bugs. Or, to be more specific, the man lit his mattress on fire in order to kill the bed bugs in his home once and for all. This man likely acted on impulse in response to weeks of sustaining bed bug bites, as he lit his mattress on fire while the mattress was still in his bedroom. As a result of this man’s actions, he was arrested and charged with negligent arson. Charles Jones was arrested on March 7th in Metairie by deputies with the Sheriff’s Department for lighting his mattress on fire within his apartment bedroom, putting all other residents of the building at risk of being caught in a wild blaze. Not only that, but Jones fled the apartment building after lighting his mattress on fire. Luckily, due to flame retardant chemicals within the mattress, Jones’ ill-conceived plan did not work. The fire damage was limited to Jones’ bedroom, but his foolish act earned him a charge of negligent arson with the possible risk of endangering human life. If convicted, Jones faces up to three years in prison and a $3,000 fine. Do you think that government programs should be enacted to assist lower-income individuals and families with bed bug control services? As Thanksgiving kicks off the holiday season, Americans will be making travel plans to celebrate with relatives and friends, both near and far. With the increased amount of travel occurring during the next couple of months, J&J Exterminating reminds travelers to be on the lookout for signs of bed bugs in order to avoid spreading these hitchhiking pests—or, even worse, bringing them home. According to a 2015 survey from the National Pest Management Association (NPMA) and University of Kentucky, bed bugs aren’t going anywhere. 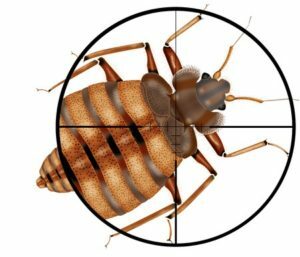 Nearly two-thirds (61 percent) of pest control professionals reported that bed bug infestations continue to rise, and three-fourths (74 percent) reported encountering infestations in hotels and motels. Pull back hotel bed sheets and inspect the mattress seams for stains, spots or bugs. Also check behind the headboard and in sofas and chairs. Immediately notify management of any signs of bed bugs and ask for a new room. Ensure the new room is not adjacent and/or directly above or below the original room. Bed bugs can easily hitchhike via housekeeping carts, luggage and even through walls via electrical sockets. Place luggage in a plastic trash bag or protective cover during the duration of the trip to keep bed bugs out. Upon returning home, inspect luggage before bringing it inside and vacuum cases thoroughly before putting them away. Dry all fabric items (even those that have not been worn) in a hot dryer for at least 30 minutes to ensure any bed bugs that may have made it that far are not placed into your drawers or closet. If bed bugs do find their way into your home, do not attempt to deal with the infestation on your own. We’ve seen too many people put themselves in dangerous situations while trying to eliminate a bed bug problem. For peace of mind, it’s best to call a professional for an assessment and treatment. Summer is officially here, which means millions of Americans are eagerly gearing up for vacation. However, before hitting the road to enjoy some rest and relaxation, J&J Exterminating a pest management company servicing Louisiana and Tyler, Texas encourages travelers to learn and practice bed bug prevention tips to help avoid bringing home these unwanted souvenirs. Bed bugs can turn a relaxing vacation into a nightmare, especially if they return home with you. 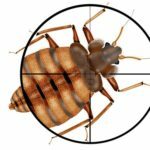 Bed bugs are one of the most difficult pests to control, but taking precautions, such as inspecting hotel rooms, beach rentals and cabins prior to settling in, is a critical first step in helping travelers avoid coming into contact with these blood-sucking pests. Thoroughly inspect the entire hotel room or rental before unpacking, including behind headboards, and around the bottom of cushions and seams of other furniture. Pull back bed sheets and inspect mattress seams and box springs, particularly the corners, for pepper-like stains or shed bed bug skins. Use a large plastic trash bag or a protective cover to store your luggage during your stay. Do not place luggage on upholstered surfaces. The safest place is typically in the bathroom in the middle of a tile floor or on a luggage rack after it has been thoroughly inspected. Do not use a luggage rack if it has hollow legs, where bed bugs may hide unseen. If any pests are spotted, notify management and change rooms or properties immediately. If staying in a hotel, be sure your new room is not adjacent to the possibly infested room. When you return home, inspect and vacuum your suitcases thoroughly before bringing them into the home. Consider using a garment hand steamer to steam your luggage, which will kill any bed bugs. Wash all your clothes – even the items not worn – in hot water or dry on high heat. If you suspect that bed bugs may have hitchhiked a ride into your abode, contact a licensed pest professional to recommend a course of treatment. Bed bugs are one of the most menacing and hard to kill insects that exist, and it is clear to everyone that their populations are increasing rapidly. When considering the modern bed bug epidemic, it becomes clear that certain locations stand a greater chance of becoming infested with the insects than other types of locations. This is in spite of the fact that pest experts claim that bed bugs can infest any location no matter the conditions. For example, bed bug infestations are common within hotels. Of course, this does not come as a surprise, as hotels see numerous guests from areas all over the world; and any one of these guests can easily, and unknowingly, transport bed bugs into hotels and motels. However, bed bug infestation rates seem to be increasing within public housing facilities as well. Perhaps the media reports on bed bug infestations that occur in public housing facilities more often than they report on bed bug infestations that occur within other locations. In any case, many people believe that the government is neglecting bed bug treatments within public housing complexes. The most recent example comes from Charlotte, North Carolina. A public housing resident in the city has been enduring a bed bug infestation within his living space for years, and government employees do not seem motivated to hire pest control professionals to end the bed bug crisis. The bed bugs in this man’s apartment are so numerous, that he has taken to spraying his skin with poisonous insect-killer in order to experience a few moments of relief from their incessant biting. Kobie Emanuel is a fifty three year old man on disability due to an autoimmune disease that makes him vulnerable to even mild forms of infection. It is for this reason that Emanuel’s doctor claimed that his bed bug-infested public housing unit is killing him. Although it is true that bed bugs do not spread disease, their bites can, nevertheless, lead to serious medical issues for people who have compromised immune systems. The excessive itching that results from bed bug bites can break skin, which can cause secondary skin infections. Emanuel was forced to quit working four years ago after his declining health made walking a major challenge. Now, Emanuel can barely afford to live within his government-run housing facility. He, and a few other residents have complained to the state housing authority about the bed bug presence, but no action has been taken to eradicate the insect pests; instead, representatives with the housing authority claim that no evidence of bed bug activity has been found within the public housing complex. Sadly, spraying Raid on his skin is the only thing Emanuel can do to prevent bed bug bites within his living space. Do you think that the bed bug epidemic that is affecting public housing complexes in America will continue to worsen in the years to come?